The Oswego Township Road District offers free roadside leaf vacuuming service for unincorporated Oswego Township. Including homes in Boulder Hill, Shore Heights, Marina Terrace and residential county areas. If you do live in a residential country area please call in to the office at (630) 264-4587 to report that you have leaves in need of vacuuming and we will come out at the end of the current round. We will pick up leaves at least 4 times during the program. Please make sure that parked cars are not directly in front of the pile, or parked within 20 feet of the pile in either direction. This will result in your leaf pile being left. We will only make one pass by your house each time we are scheduled to pick up leaves. Please make sure that piles only contain leaves and not any foreign objects; branches, grass and yard waste do not count as leaves, they will clog our vacuums and will be left behind. Please try to rake your leaves away from mailboxes and tree trunks whenever possible and into long narrow rows from lot line to lot line. Please keep your leaf piles out of the street and gutter. During inclement weather, this can clog the storm drain covers and will cause flooding. We ask that you please be kind and courteous to the men working on leaf vacuuming. If you have a complaint or need to speak with a crew member please motion to them and do not approach the machine or moving truck. This is for the citizens and our crew member’s safety. 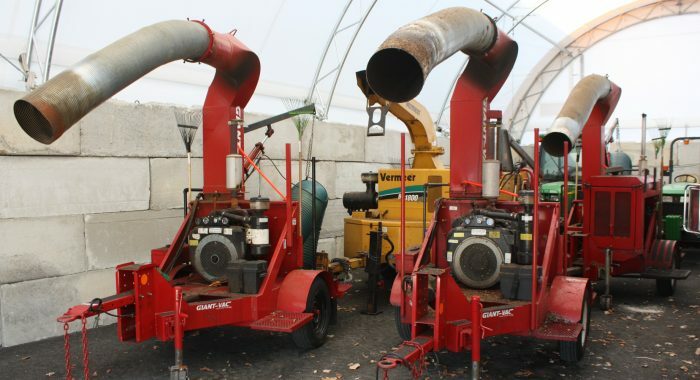 The leaf vacuuming program specific start dates vary from year to year. So please call the office for the exact start and end dates. However, for general information we usually start leaf collection during middle to late October depending on the season. We usually end our leaf collection the week after Thanksgiving weekend (weather permitting).